LaBell Exchange offers our Fountain Valley clients comprehensive and customizable telephone answering services to suit the needs of a diverse array of organizations and businesses. Our client list includes service companies (plumbing, towing, HVAC, bail bonds, equipment rental), legal/attorney practices, municipal water districts, medical/dental offices, and hospitals/healthcare facilities-just to name a few. These clients come to us because we offer exceptional answering services at a great price. Our call center is open twenty-four hours a day, seven days a week. As such, we're available to cover your phones at any time of day, including on weekends and holidays. We are a seven-time recipient of the exclusive ATSI (Association of TeleServices International) Award of Excellence, which means that we are recognized within our industry for providing answering services with fast response times, incredible accuracy, and excellent customer service. In business for almost forty years, we understand each client's phone answering needs are unique. That's why we invest substantial time to help our Fountain Valley clients create a custom plan with personalized scripts and answering protocols. Our telephone operators are all heavily trained in assisting callers (taking orders, scheduling appointments, answering FAQs) and are highly regarded at the national level for their customer service skills. We provide bilingual speakers (English and Spanish), and have access to a 24/7-translation line. 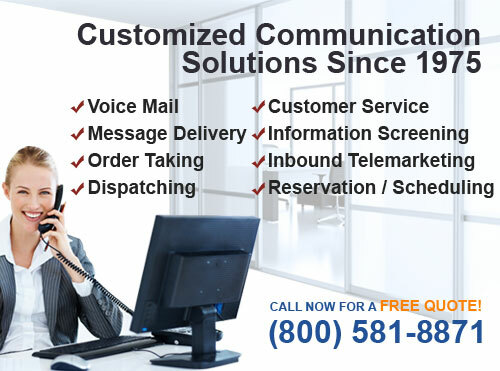 We also ensure our clients benefit from the latest advances in telecommunications technology, so they can modify our voicemail, answering, message forwarding, order taking, dispatching, and call routing service as they see fit. To learn more on how our call center can benefit your business in Fountain Valley, call LaBell Exchange today to schedule a free on-site consultation. Plans start at $40 per 28-day billing cycle and require no long-term commitment. Each new Fountain Valley client is given a unique voicemail account that can be personalized with custom greetings, voicemail trees, and message retrieval features. 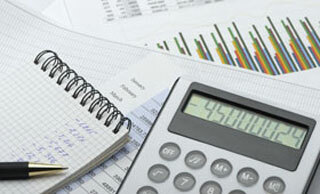 At LaBell Exchange, we understand different clients have different call center and voicemail service needs. That's why we work with you to create a voicemail tree that can integrate both automated attendant and live operator services. Your voicemail tree can include an upfront greeting, directions on how to connect with various departments/employees, recorded information on company hours/services/locations, and access to a live phone operator for emergency or customer service-related issues. With this service, you'll have 24/7 access to your messages, and we can customize your voicemail account to send notifications or forward messages via email, text, or phone. LaBell Exchange has the capacity to handle all types of inbound telemarketing campaigns for our clients in Fountain Valley. We can handle large call volumes at all hours of the day, and our experienced phone operators are highly skilled in answering phones, following call scripts, answering questions, and guiding callers through sign-ups, registrations, and orders. For order taking, we can work with Fountain Valley businesses to input their orders directly into their company website or content management system; or we can create custom order forms in our own internal system. (Our order forms typically list the product, its price, tax, shipping/handling costs, and the customer's payment information.) You can decide whether you want orders submitted to your company (to a department or specified employee) or directly to your fulfillment center, immediately after the order is placed or in batches. For cost-effective call center solutions, call LaBell Exchange today. We serve the entire Southern California area, including the city of Fountain Valley. At LaBell Exchange, we provide full-time, after hours, and emergency telephone dispatching services for companies and organizations in Fountain Valley, California. Our phone operators are nationally recognized for their high level of skill, courtesy, and accuracy. Specially trained to handle all kinds of emergencies, we're experienced in dispatching first responders as well as taxis, tow trucks, HVAC technicians, plumbers, roofers, mobile cranes, and more throughout Southern California, including in Fountain Valley. When working with callers during distressing situation, we always work to ensure that required information is received correctly and the appropriate party is reached and dispatched. Call today for a free quote. 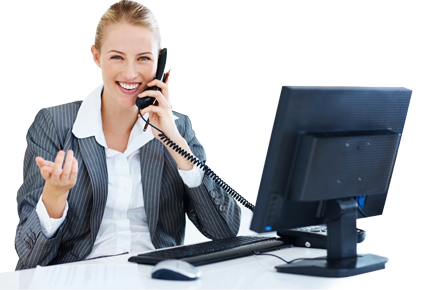 For virtual receptionist services for your Fountain Valley organization or business, call LaBell Exchange today. Our phone operators can answer phones and act as your company's dedicated receptionist. During your hours of operation, your virtual receptionist can do everything from scheduling appointments to forwarding calls. We're also available after hours, over the weekends, and on the holidays. Our call center has assisted clients on phone answering projects ranging from seasonal flu campaigns for hospitals to retirement planning seminars for financial organizations. To best serve your needs in Fountain Valley, our virtual receptionist services can be combined with any of our other call center features, such as local and toll-free dedicated phone lines, voicemail trees, and dispatching. Our Fountain Valley call center services include phone surveys and information screening for commercial and municipal customers in Fountain Valley, California. These services have been used to assist attorneys on identifying appropriate plaintiffs for class actions lawsuits; help Human Resource departments pre-screen job applicants; and allow corporations to determine customer eligibility for recalls. To help determine project efficacy, we can include call recording and analytic data gathering as part of our telephone answering package. At LaBell Exchange, we're committed to treating all callers with professionalism and courtesy, and our phone operators hold years of experience in guiding them through surveys and questionnaires, as well as in providing information to frequently asked questions. At LaBell Exchange, we specialize in message taking and advanced message delivery services. Our call center has served Fountain Valley and the surrounding Southern California area for almost forty years, and we understand that our clients need their call center to answer calls promptly, provide exceptional customer service, take highly reliable messages, and deliver messages as needed. Our phone operators have all been carefully selected, and are highly skilled in answering phones, gathering information, and typing messages. They're trained to repeat back and verify the information the caller provides, to ensure that the correct message is conveyed. We can then deliver the message by phone, fax, email, or text. Depending on your company needs, we can incorporate dispatching services into your account, and establish protocols and scripts on when to keep callers on the line (emergencies and other special situations) while real-time contact with the appropriate person/department is made. We're nationally renowned for our professional phone answering services, and have been recognized by our industry's trade association for our outstanding call center response times, accuracy, and overall customer service. We are a seven-time recipient of the prestigious ATSI Award of Excellence, and have served the Southern California area, including Fountain Valley, for almost forty years. A family owned and operated company, we are committed to treating each of our callers with courtesy and respect. For our Fountain Valley clients, we provide tailored telephone answering services to meet the needs of your individual business or organization. Whether you're in the legal, municipal, medical, dental, property management, or service industry, our 24/7 call center is there to answer your phones and help represent your business by providing the excellent customer service we've come to be known for.